Today’s facelift patients enjoy unparalleled safety, comfort, and natural-looking results. Treatment has evolved considerably in just the past 15 years thanks to continued advancements in techniques and technologies. Board-certified plastic surgeon Dr. Thomas Nguyen has been improving patients’ lives with facelift treatment in Fountain Valley, CA for more than 15 years. Your appearance and health are in great hands at the Institute of Cosmetic and Reconstructive Surgery. Surgeries are performed at our custom-designed, nationally-accredited ambulatory surgery facility located within Fountain Valley Regional Hospital’s Outpatient Services Building. General anesthesia is administered by our Board-certified anesthesiologist. It’s important to first understand your options. The options available and best for you may not be best for a friend or family member. There are facial characteristics and nuances that are unique to you. Dr. Nguyen combines visual examination and measurements of your face and neck with an evaluation of your general health. While pre-existing conditions such as high blood pressure and diabetes don’t preclude you from getting a facelift, there are aspects that must be considered if you have medical conditions. We’ll discuss those considerations during the consultation and preparation stages. As we move forward with treatment, lab tests will be completed, and medications will be prescribed or adjusted to ensure the safety of your facelift. When discussing your goals and preferences to arrive at the best options, patients are sometimes surprised to know just how many techniques are available to them. A facelift isn’t any one type of procedure; it is an entire category of treatments. Your face is divided into areas. Specific areas may be altered – tissue tightened and/or removed – or all areas of the face may be lifted through the removal or tightening of muscle, skin, and fat. Upper – Generally, this approach would involve anything above the eyes and primarily your brow line and forehead. grooved area above the upper lip and under the nostrils. Lower – Below the corners of your mouth, rejuvenation related to this part of the face includes the folds that develop around the mouth and nose (nasolabial) and jawline, and often accounts for the submental area under the chin (double chin) and excess at the neck. To many people who are just getting acquainted with these procedures, facelift means all three of the above areas. The reality is, many of Dr. Nguyen’s patients only have treatment to the lower two-thirds of the face, so anything from the top of the ears downward. Treatment to the upper face is generally a separate procedure known as a brow lift. To achieve the goals you desire, Dr. Nguyen discusses complementary surgical procedures as well as nonsurgical treatments such as resurfacing to improve skin texture and tone. Some of these procedures may be safely combined with the facelift and performed during the same visit. How we reveal your rested, rejuvenated self! Generally, all facelifts start with anesthesia and an incision to access and reposition tissues – skin, muscle, and fat. The location and length of the incision depends on the nature of the procedure. The traditional approach to the facelift procedure will start in the (well-hidden) hairline area in the temples. This incision can then be followed around the ears, ending at the lower scalp. Depending on your needs, Dr. Nguyen may make another incision in the neck and remove and/or redistribute tissues there. The length of the “mini” or “limited” lift’s incisions are shorter, and they start at the temples, eventually wrapping around the ears. Incisions for neck lifts often begin toward the front of the earlobes, extend around and behind the ears. More limited techniques are usually associated with less risk of complications and demands on the body for healing and recovery; however, they are also suitable for patients who have less sagging. All facelift surgeries require a commitment on the part of the patient to follow directions before and after treatment. By doing so, you’ll help to ensure healing goes as planned and results are desirable. 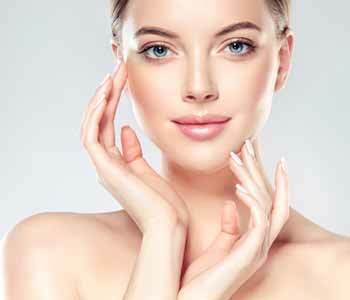 It’s important to have realistic expectations about the results that may be achieved with facelift treatment, and to know that we can’t stop the aging process. But, we can slow its effect by protecting our skin from sun damage, using tailored skin care products and therapies, and keeping a healthy lifestyle and balanced diet.